What do women in Kinyn wear? Kinyn has a variety of fashions. In fact, Nessa goes through several outfits in “The Healer and the Pirate.” Since Julie likes clothes and Maggie can redraw Julie’s sketches into something nice to look at, we’ll highlight a few outfits she wears over the next few weeks. That will give a pretty good overview of what women (and female elves, Asri, and the like) wear. This is Nessa's linen traveling dress, the dress she's wearing when Aridin first lays eyes on her. (Read it here!) The bodice is lightly boned for support and laces up the front. It is not purposely constructed to hide curves, nor does it accent them. The sleeves are sewn into the bodice. 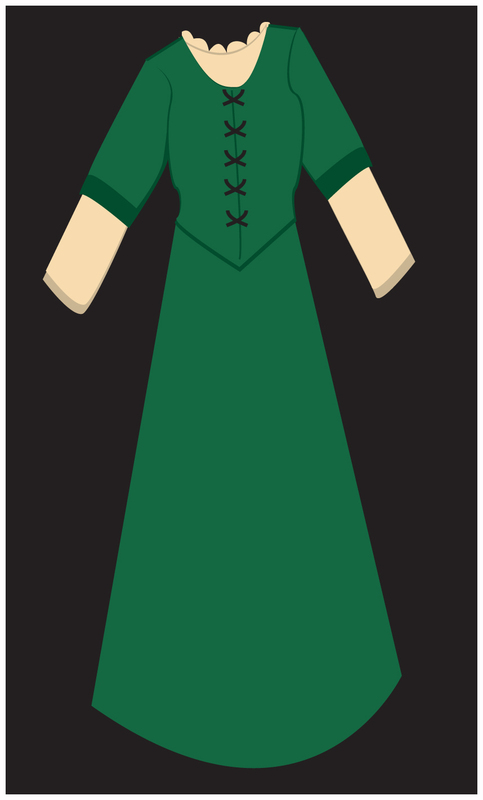 The sleeves’ edging--darker green fabric--constitutes the only decoration on the dress. It is overall a simple design, suitable for everyday wear. The calf-length skirt attaches to the bodice as well. Calf-length is the shortest a "good" woman might wear her skirts, and a good, practical length for farm work. (However, in some places--particularly port towns--a certain type of woman might wear skirts knee-length, or even higher.) The medium-weight material and fullness of Nessa’s skirt allow her maximum mobility. She could even ride astride a horse in it! Beneath the dress peeks out a long-sleeved tan shift, or chemise, edged with matching fabric ruffles at the neck. Shifts are considered undergarments and are washed more often than overdresses. No woman’s ensemble would be complete without one. This shift is fairly close-fitting, with dark-trimmed cuffs. With Nessa’s ice-white skin, a bleached white shift would be rather unbecoming. Not pictured are Nessa's brown ankle boots, which lace up the front. Like most villagers, Nessa only has one pair of shoes, and they were created with an eye to utility, not beauty. Wealthier women may have slippers for wearing to special occasions. In a small village like Nessa’s, however, such a thing would be considered ostentatious. For practicality, Nessa ties back her silver-blue, waist-length hair in a thick braid while she travels. What kind of government does Kinyn have? In some ways, Kinyn is like the Amercian Old West, in that there’s not much in the way of formalized central government. Officially, the Elf Queen Leina currently rules over the world; however, she rarely becomes involved in the affairs of mortals, or even those of fallen Elves. Most towns are governed informally by town elders. Since the fall of the races, human clans have risen over much of the land. Bandits now terrorize many of the southwestern forests. Pirates rule the seas. Lately, men who call themselves governors have established their authority over certain territories. Instead of following the Savior, these men think only of their own gain. In The Healer and the Pirate Nessa meets someone whose life is about to be altered due to a governor’s selfishness... But I don’t want to spoil you too much on that. What kind of magic exists in Kinyn? There are many kinds of magic and supernatural forces in Kinyn. Elves and a few other creatures can perform spells calling on their innate strength. Some followers of the Savior consider these types of spells wicked, but others believe they are only forbidden for humans. These spells are entirely reliant on the strength, focus, and talent of the caster. Some creatures, such as Asri, Eaml, and some fairies, have innate abilities which many would consider magic. These powers can be honed, just as a person can learn to cook or farm. These abilities generally work consistently, but overuse can leave the user tired or even temporarily incapacitated. A third kind of magic is called “dust magic,” which uses magical herbs, powders, and the like. Pixie dust is one example of dust magic, and there are even tales of dust that can heal. Elves sometimes use dust and spells to create magical artifacts. These can be very dangerous if they fall into the wrong hands. Artifacts aren't just broken pots. They're magical items of mayhem. Finally, some would dub spells which call upon the gods a form of magic. Many people in Kinyn call on the gods, and some priests and priestesses are sometimes able to do impressive works in the names of these gods. Non-believers might argue the Redeemed call upon their Savior for magic, but that’s not really true. Instead, those who follow the Savior petition Him for miracles. The Savior appears to pay no special heed to those in power, nor does He respond to recited spells and incantations. He hears every prayer, but He sometimes answers in unexpected ways. The Redeemed know His power is greater than any magic. Previously, we’ve talked about 3 of the 4 high races in Kinyn: Elves, Eaml and Sespin. Today we’re giving you a very small preview of the final race. When he bowed his head and closed his eyes, the sun caught the silver highlights in his blue hair. 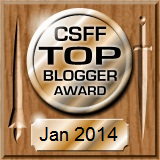 Moments later the light glinting off Nicoli's head covered his body, distorting his figure. The light faded and a beautiful gray winged horse, much slimmer than the ones on the farm, stood where her grandfather had been. His silver mane shone in contrast with his black muzzle and dark, knowing eyes. He spread his glossy feathered wings wide and whinnied to her. The Asri (pronounced AZ-ree) served as the guardians of the air but were cast from the skies after the fall of the races. They have skin white as the clouds and hair the color of the sky, with pointed ears. Their frames are often slender and they share the pointed ears of the elves, though longer. All Asri have the ability to change into winged horses but are no longer light enough to live in the clouds. Most are born with other innate abilities as well, which can range from calling to the trees to forcing someone to tell the truth. Their natural lifespan is several times a human’s. Not many have seen the Asri. Many years ago, the clan split in two; most of them have taken to the mountains and others left the main continent in a great Exodus. 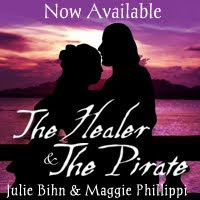 You can find out more about them in The Healer and the Pirate!